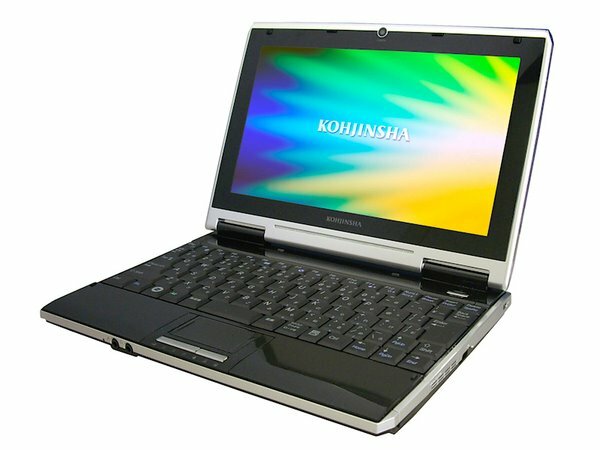 Here’s Kohjinsha’s latest Netbook, the MT6WX16AR. Available in both black and white with a 10.1” LCD(1024×576), Atom N270, 1GB of RAM, 160GB of HDD, Intel 945GSE Express and a 1Seg TV Tuner… 49,800 Yen (€370). 10.1 inch screen instead of a micro-sized 8.9 inch, i really like the form factor with the 10.1 screen.